Jaipur-based Girnar Software Pvt. Ltd, which owns auto portal CarDekho.com, saw its revenues rise nearly 62.5% to $37.54 million (Rs 260 crore at current exchange rates) for the financial year through 31 March 2019. In its annual report for 2018-19, the company said that growth in its used car and new car businesses led to the increase in its revenue. CarDekho did not provide further details on its financial performance for the year. In 2017-18, it recorded a 40% growth in revenue at Rs 160 crore while its net loss shrank to Rs 70 crore from Rs 136 crore. Accordingly, the company claimed that its used car business grew 140% year-on-year and exited the financial year with a $21-million exit run rate while its new car business registered a 42% YoY growth with a $26 million exit run rate. Overall, the group exited 2018-19 with a $53-million run rate (Rs 367.06 crore at current exchange rates). “With the sole focus on becoming the ‘OEM’ of used cars in India, we strengthened our focus on supply and demand side transactions for channel partners. 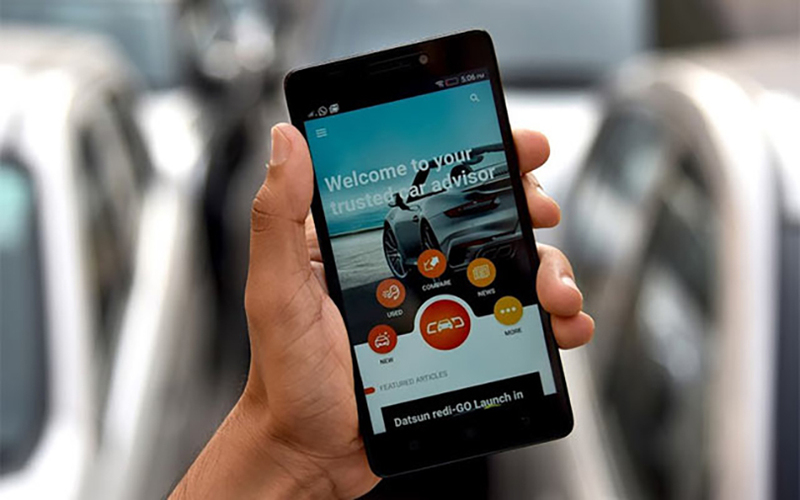 Going ahead, we plan to streamline the business more and add further value to our customer's experience,” Amit Jain, co-founder and chief executive of CarDekho stated. A significant part of the growth performance came in Q4 2019 when the company claimed that it clocked revenue growth of 70% and a 340% percent growth in its used car business. While it did not shed light on net loss and gross expenditures, it said it had reduced its pre-marketing operating burn by 8%. Also, it added that 95% of its operating burn was incurred in the last three months due to investments on its consumer-to-retail auction vertical, ‘Gaadi by CarDekho’. The company claimed that this vertical posted transactions of over 800 cars across 12 stores in Delhi-NCR within two months of is launch. CarDekho hopes to set up around 30 stores in Delhi-NCR and Bengaluru, which it expanded to recently, by April end, it stated. Girnar Software was founded in 2007 by siblings Amit and Anurag Jain. Besides CarDekho, which is an online marketplace for used cars, it owns BikeDekho.com, Gaadi.com and TyreDekho.com and online shopping adviser BuyingIQ.com. In January this year, TechCircle reported that it had closed a $110 million (Rs 770 crore then) from a mix of new and existing investors that include Sequoia Capital, Axis Bank, Hillhouse Capital, Ratan Tata's RNT Associates and CapitalG, formerly known as Google Capital among others. In a recent interaction with TechCircle, Amit had said that new cars, used vehicles and the insurance and finance sector will spearhead the company’s growth. The company has even ventured overseas, setting up shop in Indonesia as part of is international auto business vertical. In its annual report, the company claimed that its Indonesian operations witnessed an 88% YoY growth and exited the year with a $6-million (Rs 41.54 crore) revenue run rate.